Think classic style, but updated. Kooper is all smooth curves, but still follows the typical shape of more traditional pieces. 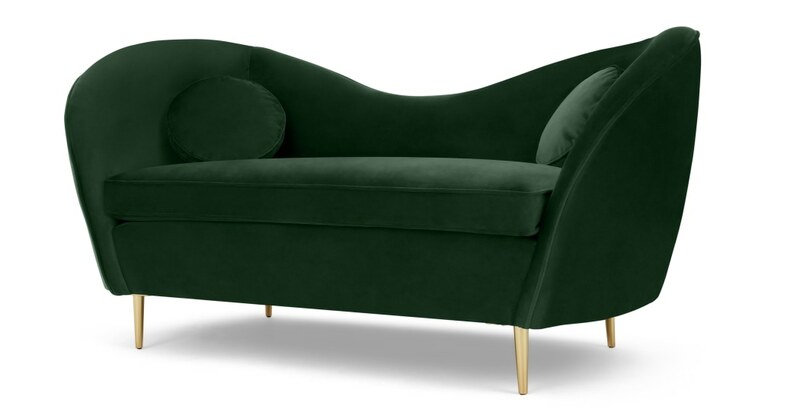 In soft pine green velvet, Kooper has real charm. With brass legs making it a standout piece. The dramatically shaped backrest is piped and padded – comfort and style, sorted. And the plump seat makes this statement sofa a perfect lounging spot.